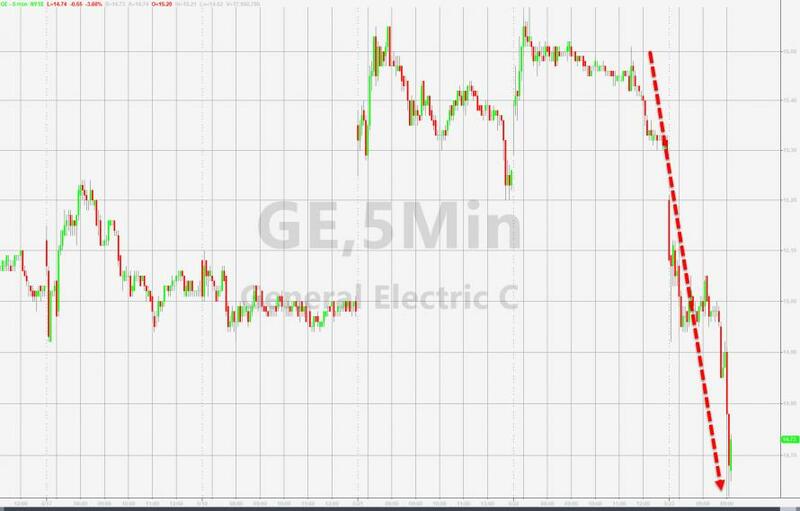 After ramping the last few weeks, GE's share price is tumbling back below $15 this morning following remarks from CEO John Glannery that GE expects the market for heavy duty gas power turbines to remain weak through 2020. 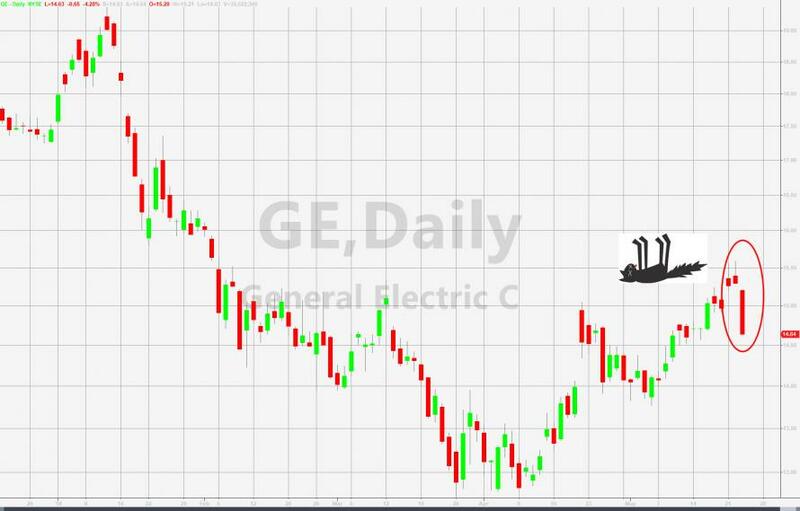 Despite, affirming GE's targets for 2018 profit and free cash flow, and said profit at GE's Baker Hughes oil and gas unit would rise by 50 percent or more this year, while profit at the aviation business would be up 15 percent, Flannery said he is planning for the market for heavy duty gas power turbines to remain weak through 2020, and sees no profit growth at the large GE power business this year, according to a presentation he was due to make on Wednesday. Additionally, Flannery sees the power unit exceeding the $1b 2018 cost cut target, and says the firm is trying to "manage down" GE Capital insurance exposure, but perhaps most notably was his comments that the dividend level was a function of what happens to the portfolio - spooking investors a little more.